Wonderful invocations for children and family use for the Gods: Odin, Heimdal, Baldur, Frey and Thor written by Sam Coles AOR. As a religious movement that is not seen as mainstream yet, it should be viewed necessary to cast an occasional critical eye on ourselves – our attitude, our achievements and our ability to mobilise folk and resources to our best advantage. 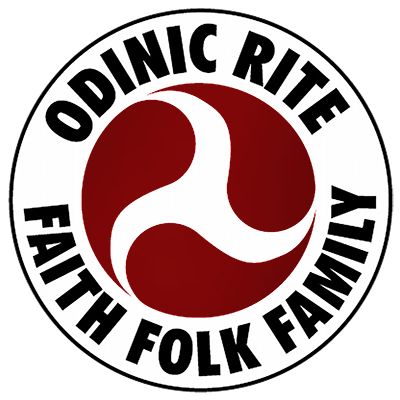 I have heard it said that 'Magic has nothing to do with Odinism', which is singularly uninformed comment when it is seen that Odin, among much else, is a God of Magic. Furthermore, magical acts by Gods and men run throughout our myths and sagas. I do not, in this article, intend to define what Magic is. Suffice it to say that in its widest sense it permeates all and that certain of its aspects have been categorised as ESP, telepathy, natural science, and occultism.